Dear 8th form students, during the lesson today we have visited our national project web page and watched the video journal created by our partner school. We've discussed it and prepared for the online session. Your homework task is to write 3 things you liked best about our partner school video journal. Post your feed-back in the comments section. Click here to see the video journal once more if necessary. what can we do to protect nature? Dear 6th form students, during the lesson today we have talked about about the nature and its importance, the causes and the effects of the pollution, the ways of saving our planet. Write a paragraph of 8 sentences about what you can do to protect nature. The video bellow will help you to accomplish the task. Goog luck! Post your paragraph as a comment HERE! Dear 8th form students, I know you are very persevering in learning the new words every day. Vocabulary is a very important aspect of a language. During the lesson we have learned some phrasal verbs. Your homework is to use them in your own sentences. You can remind them if necessary. 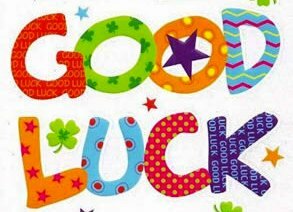 Goog luck! Post your sentences as a comment below! We are going to celebrate Global Youth Service Day (Friday, april 15, 2016). Please, study the information below and find the attached tasks. Global Youth Service Day (GYSD), originally launched and known as National Youth Service Day in the United States, is a coordinated annual event which gathers young people around the world in conducting community service, service learning, and youth voice activities that benefit their communities, their countries, and the world. Activities are organized in more than 100 countries each April to help mark the celebrations, and engage millions, making it the largest annual celebration of young volunteers. Global Youth Service Day was launched as national youth service day in 1988. It is coordinated by youth service america, and most of the projects are based in the united states. However, a growing number of volunteers from other parts of the world take part in the activities each year. Every year on global youth service day, youth organizations, schools and individuals around the world realize thousands of projects. They focus on voluntary community service and range from learning sessions about current social and environmental challenges to clean-up actions, nursing home visits, and concerts. Global Youth Service Day is a global observance but not a public holiday. 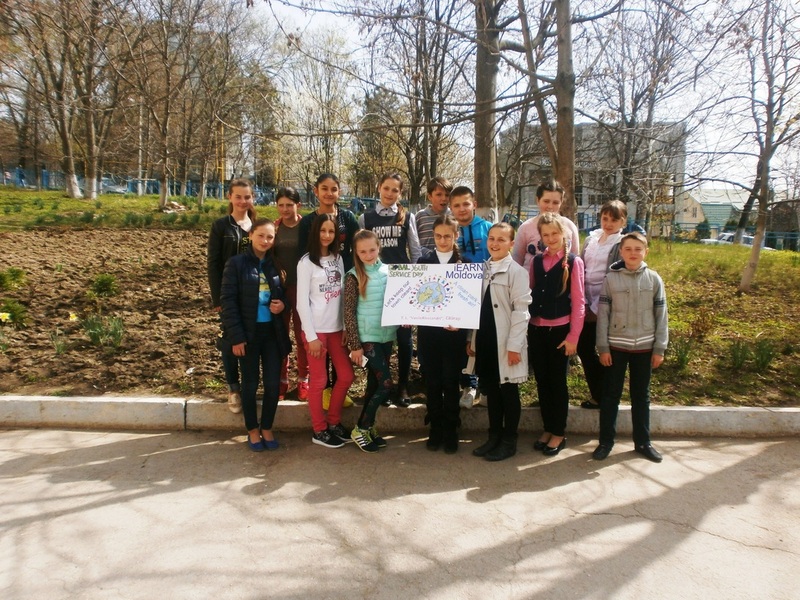 In order to understand better the idea of these projects, watch some of the final products created by other Moldovan students. Select one you liked best and motivate your chose. Write how you would implement similar initiatives in our home town. 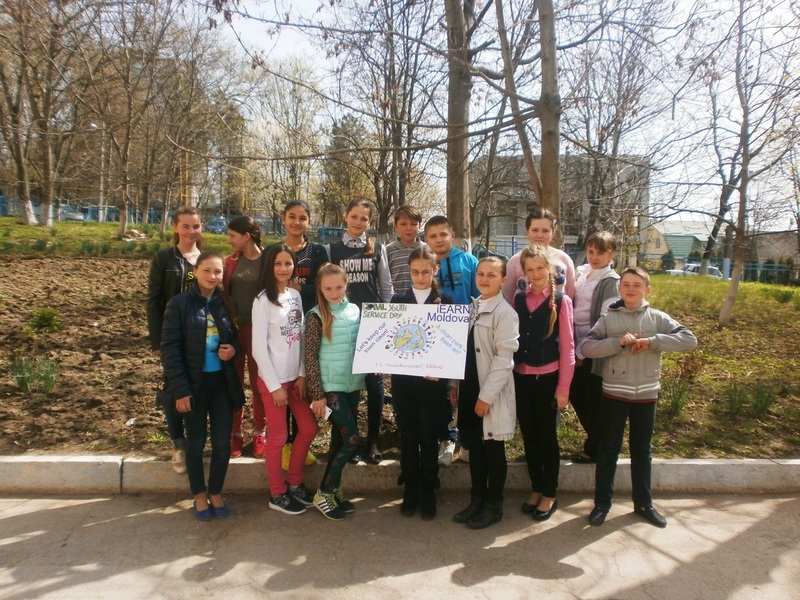 a) How do you plan to celebrate GYSD with your school colleagues? b) What activities do you plan to organize? c) Who is going to help you (your teachers, your parents, the school administration, local NGOs, the mayor office)? d) How are you planning to tell other people about your project (through Facebook, class website, blog, school newspaper)? I’m looking forward your ideas. Post your answers as a comment. 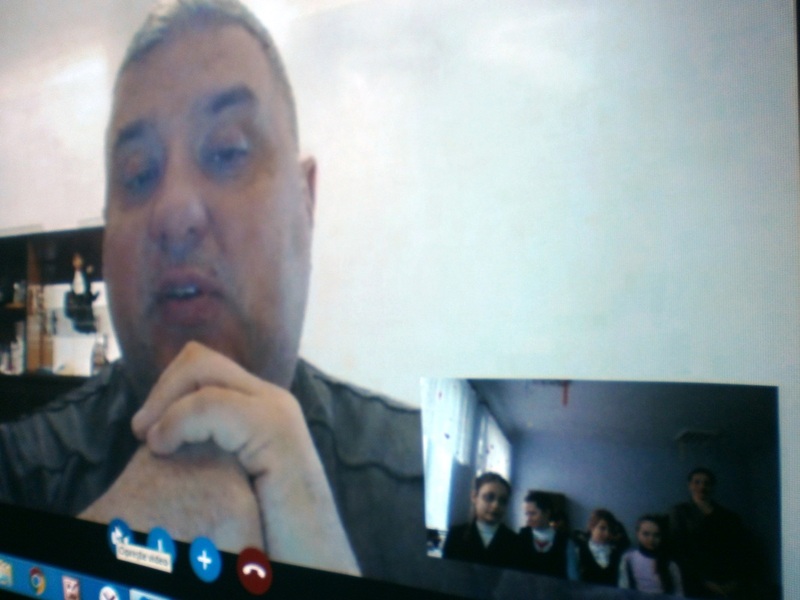 Dear 5th form students, this week we’ve had a Skype call with Dean Vallejo, a Peace Corps Volunteer who works in Soroca now. As you know the topic of our lesson was “Holidays”. He told you about the holidays in the USA. First he told you a lot of things about himself, then he spent a lot of time talking about Thanksgiving Day, since it is not celebrated in Moldova. He also told you about Gasparilla Pirate Festival is an annual celebration held in the city of Tampa, Florida, his motherland and shared some pictures he took there. How did you like the Skype session? I did you learned/remembered from it? Would you like to repeat this experience? Dear students, do you know what a E-portfolio is? Watch the video below and learn more about it. Today I am going to explain how to create your own E-Portfolio where you may introduce yourself, pictures documents and other artifacts, reflect on your achivements and get peer comments! Analyze the two platforms I recommend below and choose the one you believe would fit your E-Portfolio interests. Create a free account and give your blog a name, then post the link below, as a comment. b) Go to wordpress, create a free account and start working on your E-portfolio! Watch this video and learn how to create an E-portfolio using Google. Watch this tutorial and learn How to creat an E- Portofolio in Power Point. Create your own digital portfolio reflecting your work in this year. Feel free to be as creative as you want! The first page “About me “ will contain your short presentation including some personal information about your hobbies, skills and interests with 1-5 pictures or artifacts. The second page “My favourite extra - curricular activities” where you will publish your photo, videos and other materials. Other important rules you should respect! - be organised - use bullet points, charts, graphs when necessary. Post Your E-portfolio HERE as a coment to this task! Dear 5th form students, we've studied Present Simple and Present Progressive Tenses. I think you need to practice them more in order to make difference between their use. Here is a vodeo that can help you. Watch it attentively and do the tasks below. Your dad (wash) ____________ the car every day. He (not drink) _____________ tea. His friend (read) ___________ the lesson every class. Her cousin (write) ____________ letters. Mary (not sleep) _______________ in the afternoon. Our parents (give) ___________ us money to spend. Mike and John (not eat) _________________ oranges. They (take) ____________us to football matches every Sunday. ( like)________your parents ________ watching TV? How often (swim) ________he __________ in the pool? 21. ___________ they ___________ (read) magazines? 1. The children …………………………(play) outside now. 2. She usually ………………………(read) the newspaper in the morning. 3. I …………………………… (do) my homework now. 4. I ………………………… (eat) my dinner now. 5. ……………………………(you / want) a pizza? 6. They ……………………………(watch) TV now. 7. I …………………………… (not / like) spaghetti. 8. The baby ………………………… (sleep) now. 9. My mother usually ………………… (cook) dinner in the evening. 10. He …………………… (write) a letter to his pen-friend every month. 11. She ……………………… (not / like) football. 12. Mary ………………………… (listen) to music now. 13. Tom usually ……………………(drink) coffee, but he ………………… (drink) tea now. 14. We ……………………… (go) to the disco tonight. 15. ………………………… (he / go) to work by bus every day. Dear 5th form students, I know you are very persevering in learning the new words every day. I decided to help you. Here there are some vocabulary exercises you have to do. I am sure you want to check you knowledge. Try to do it!